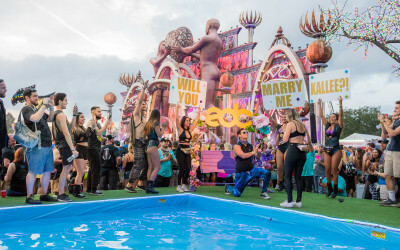 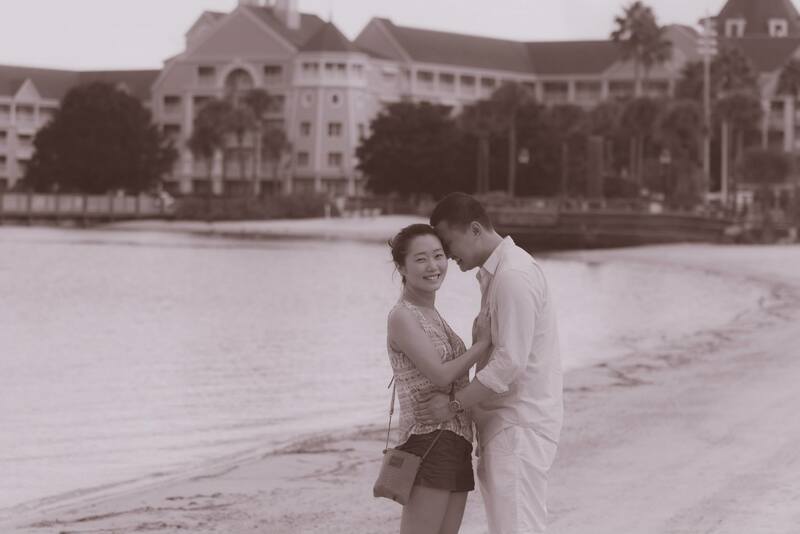 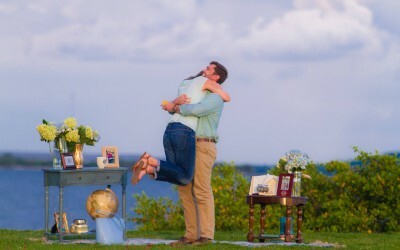 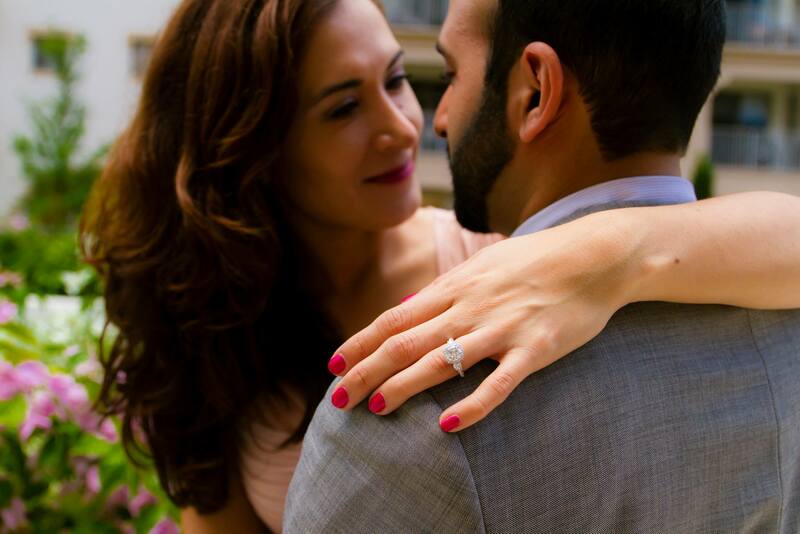 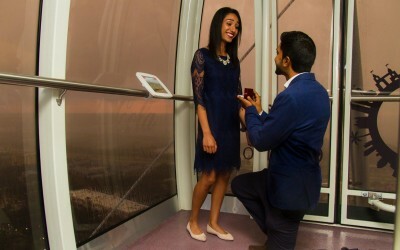 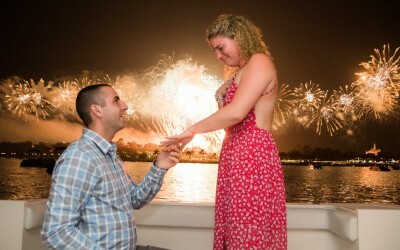 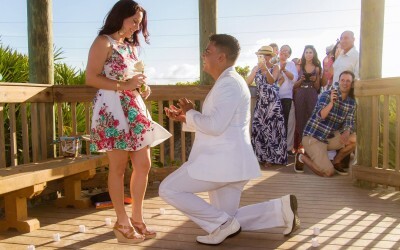 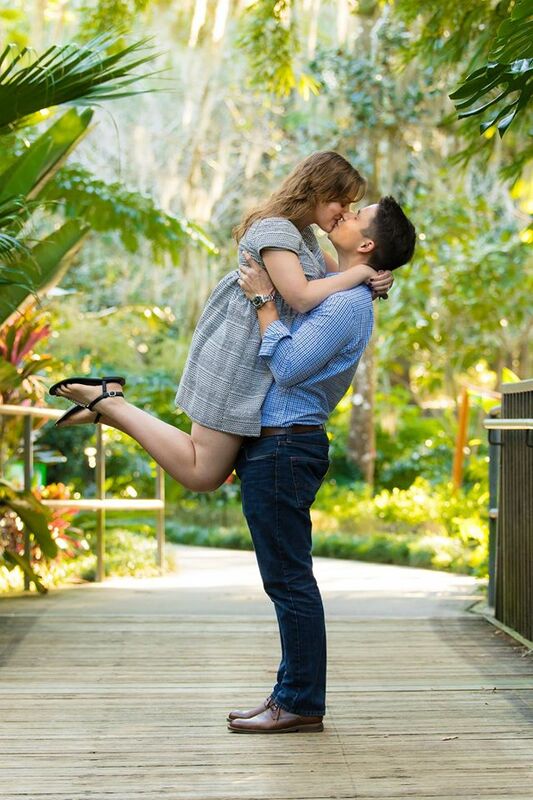 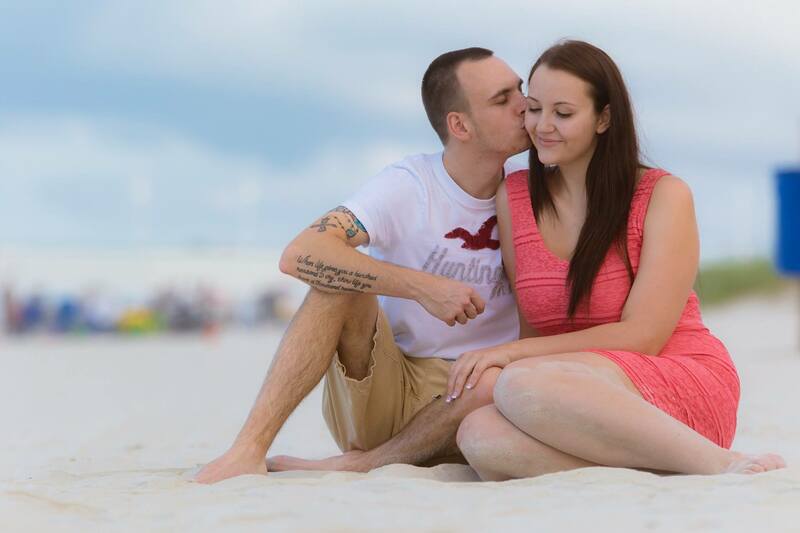 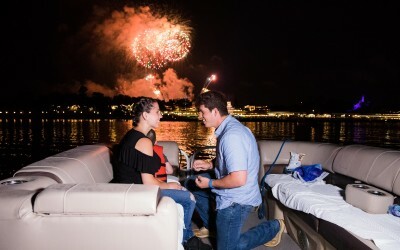 We are glad to say we have the most experience in the region to capture unique Orlando marriage proposals! 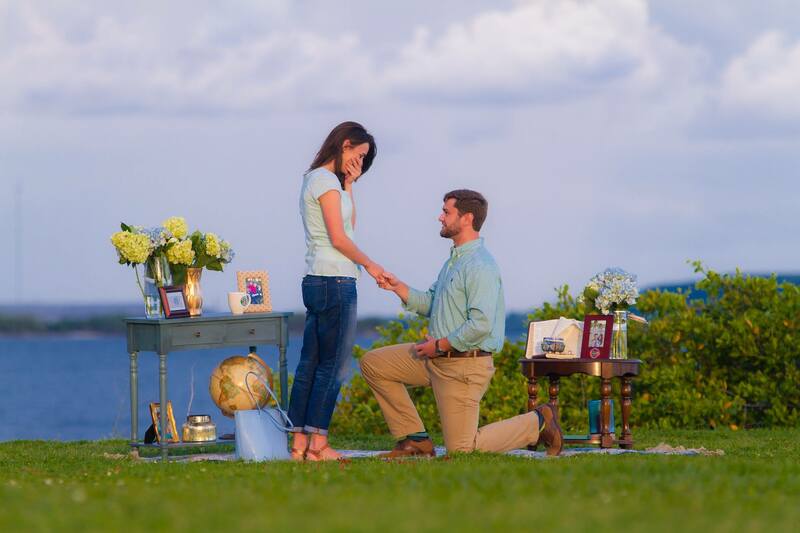 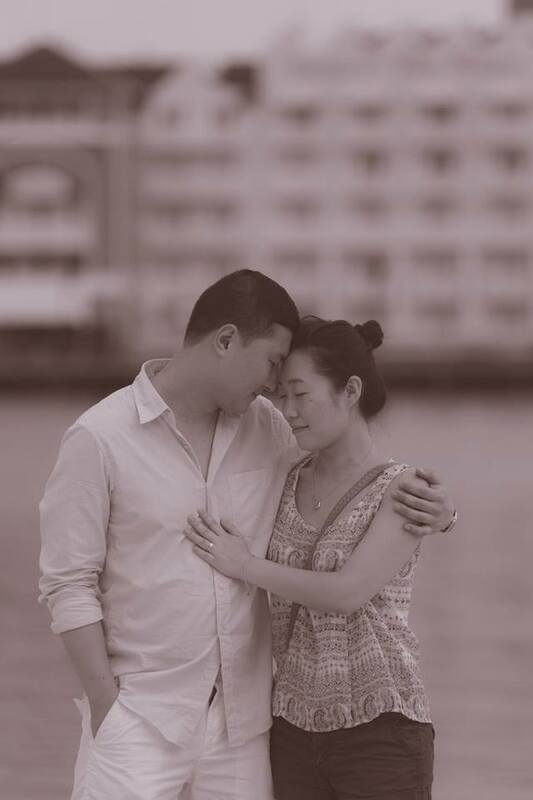 From the location planning to the execution to the portrait session – we are with you every step of the way to ensure your proposal is perfect! 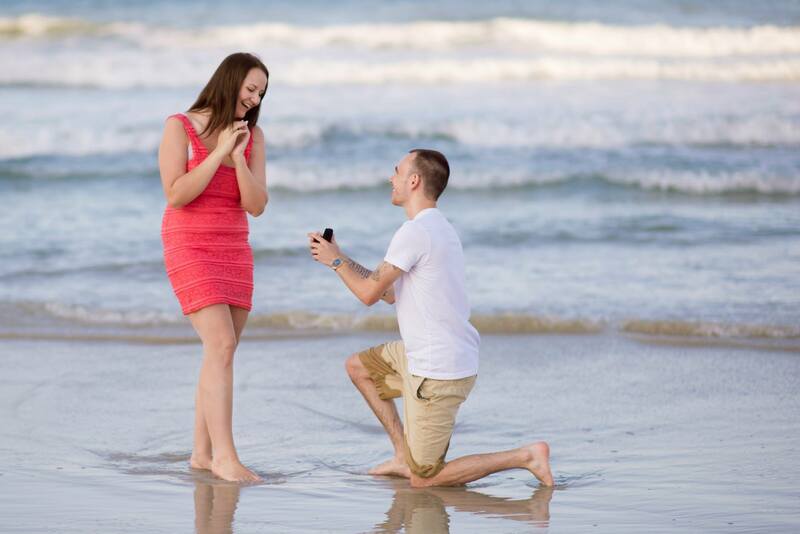 Not to mention your fiance will absolutely love and cherish the moment when I deliver your images. 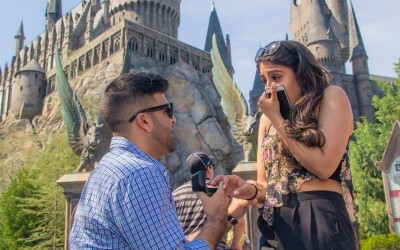 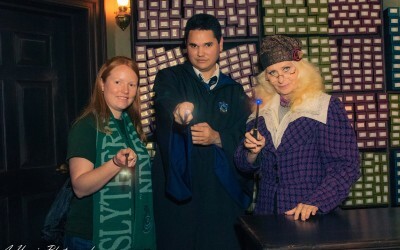 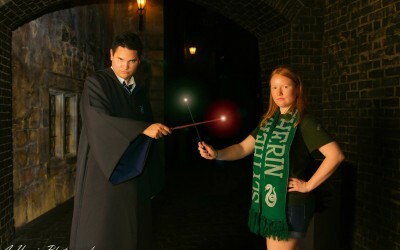 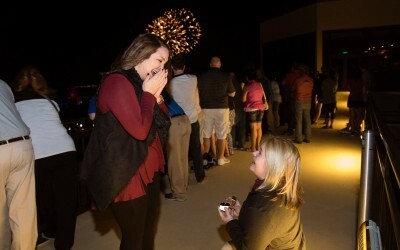 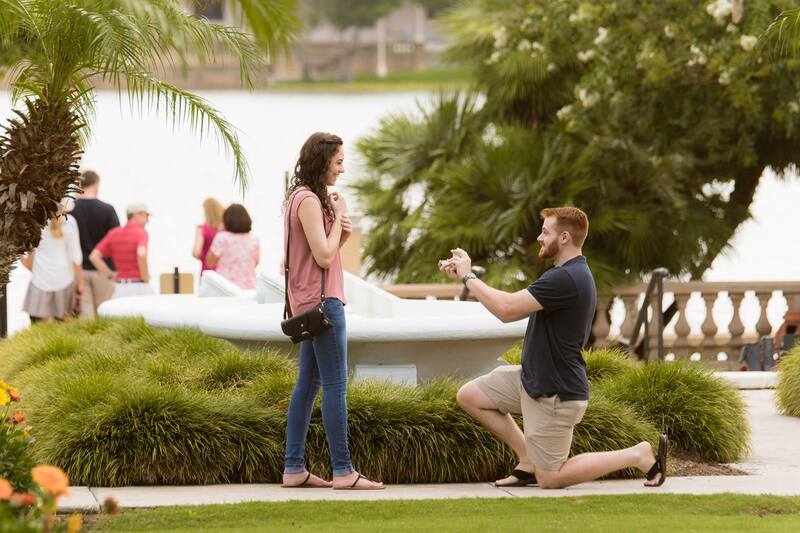 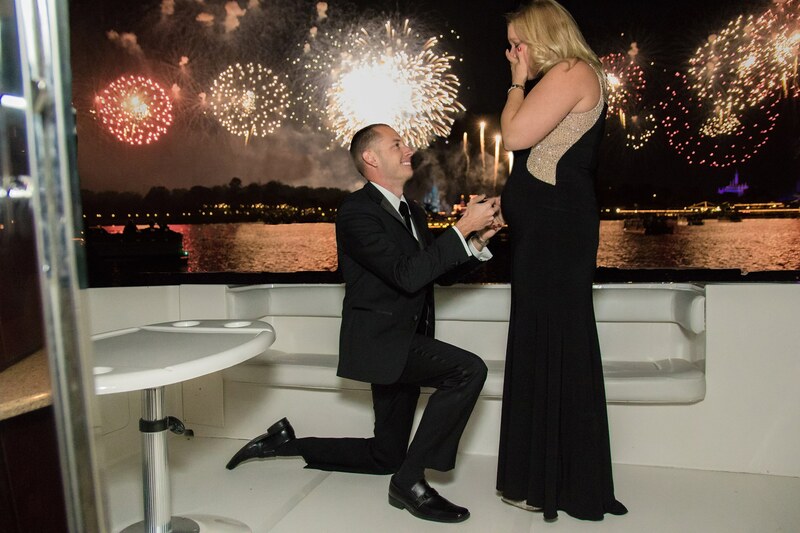 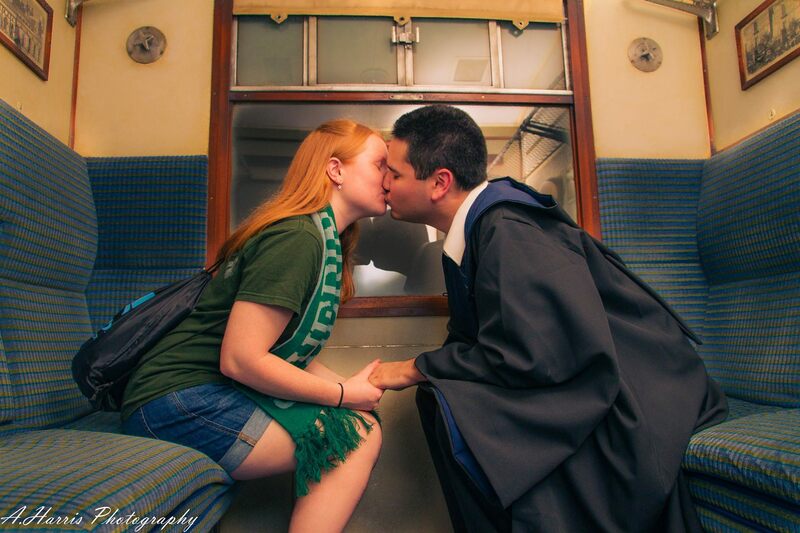 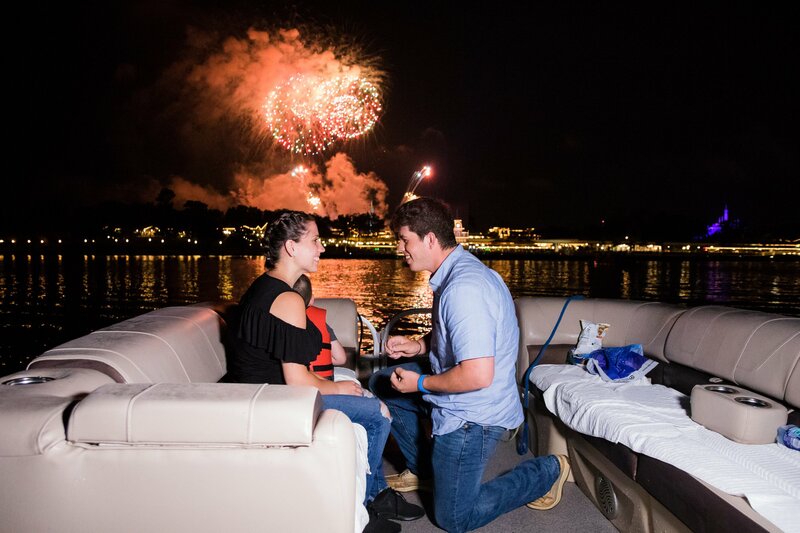 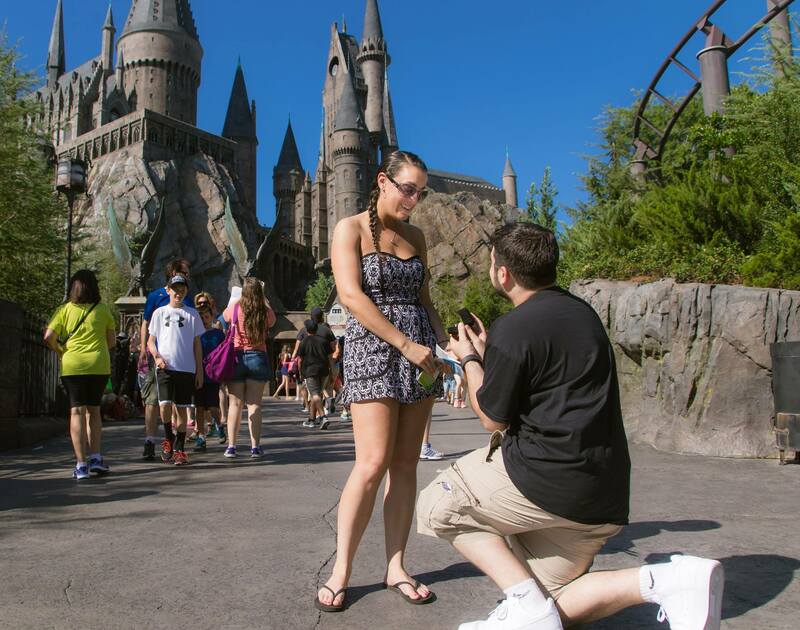 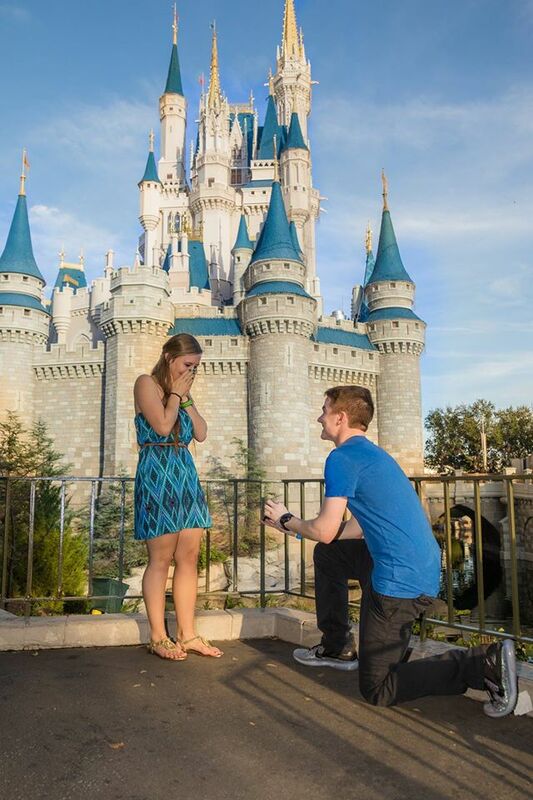 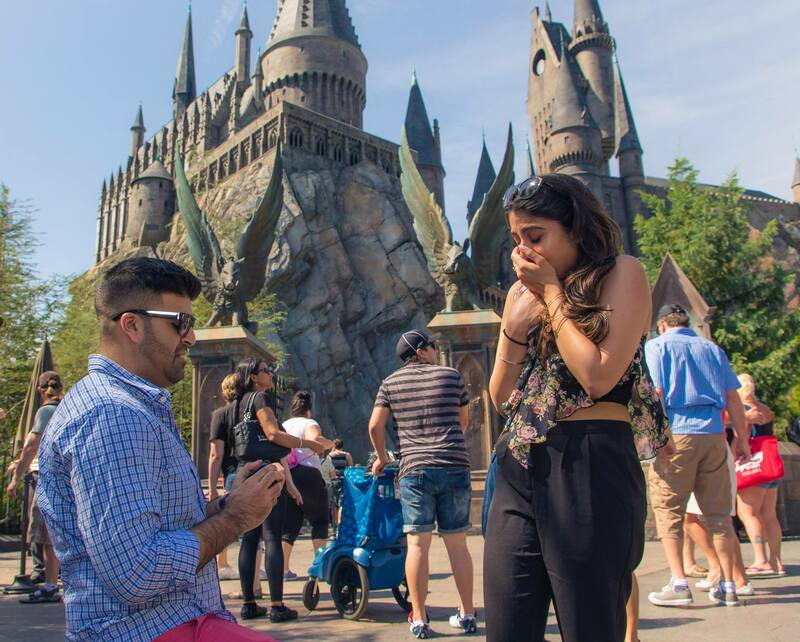 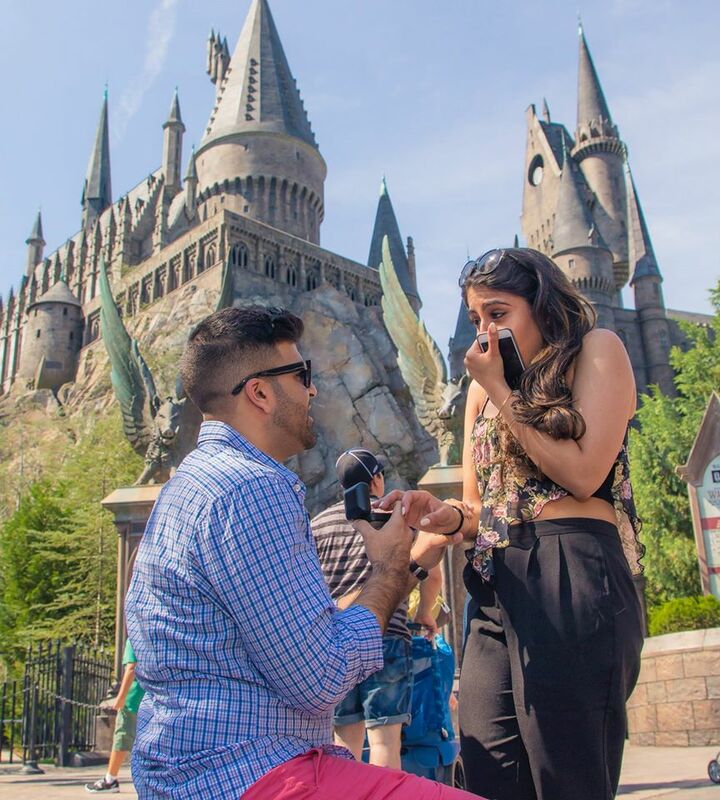 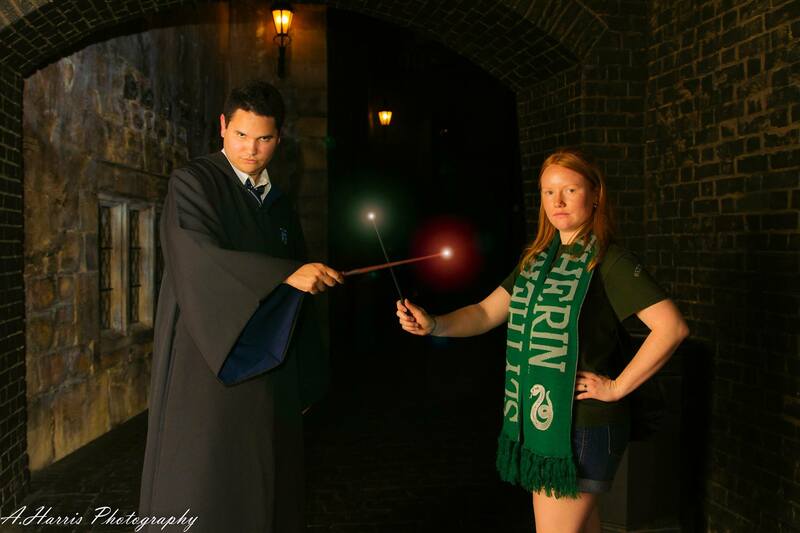 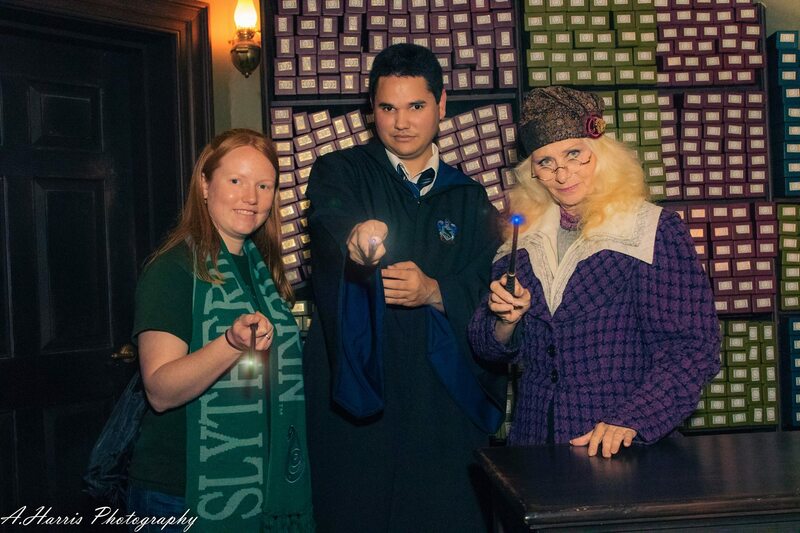 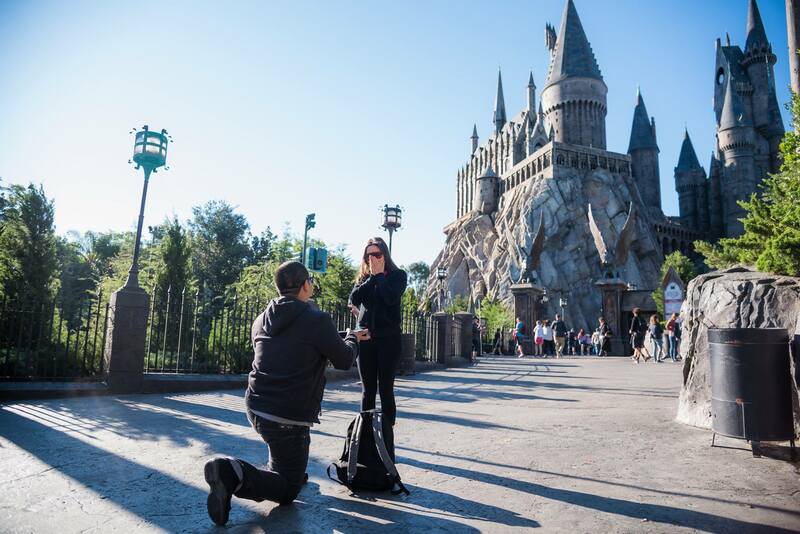 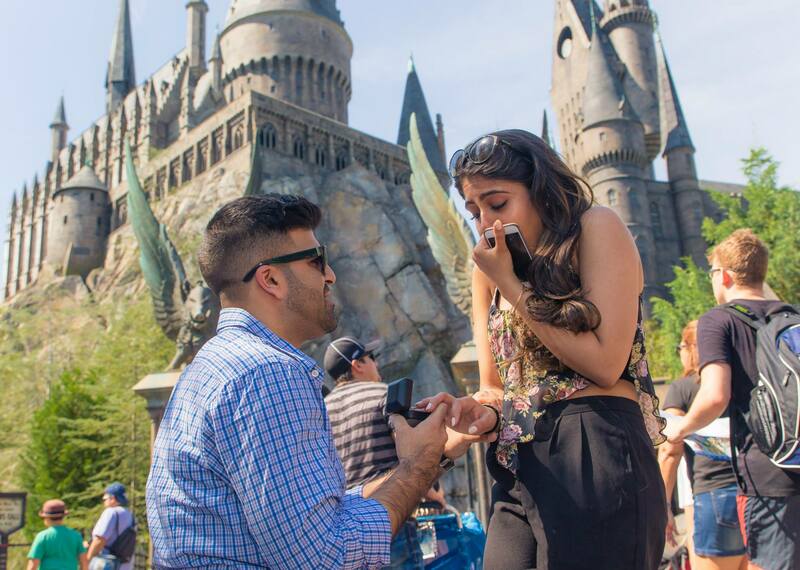 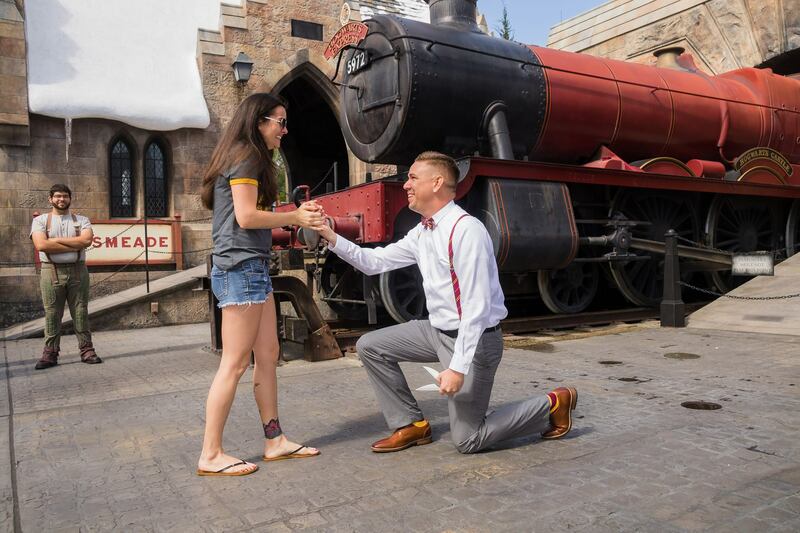 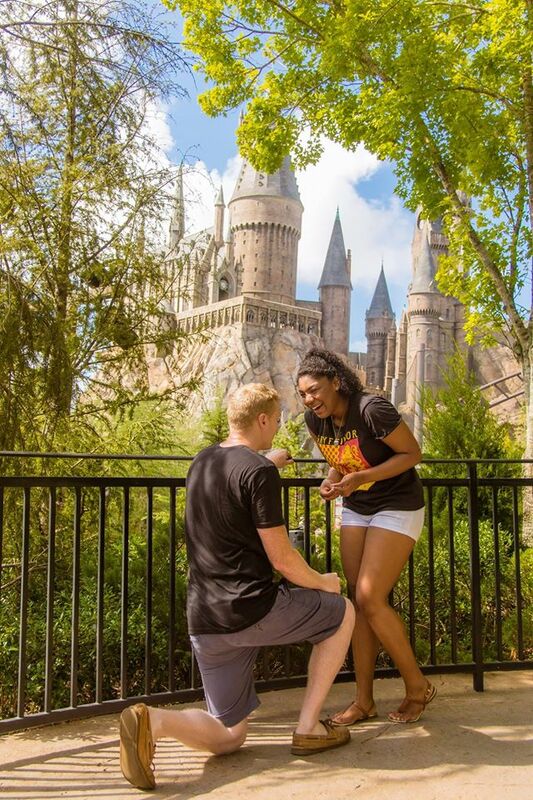 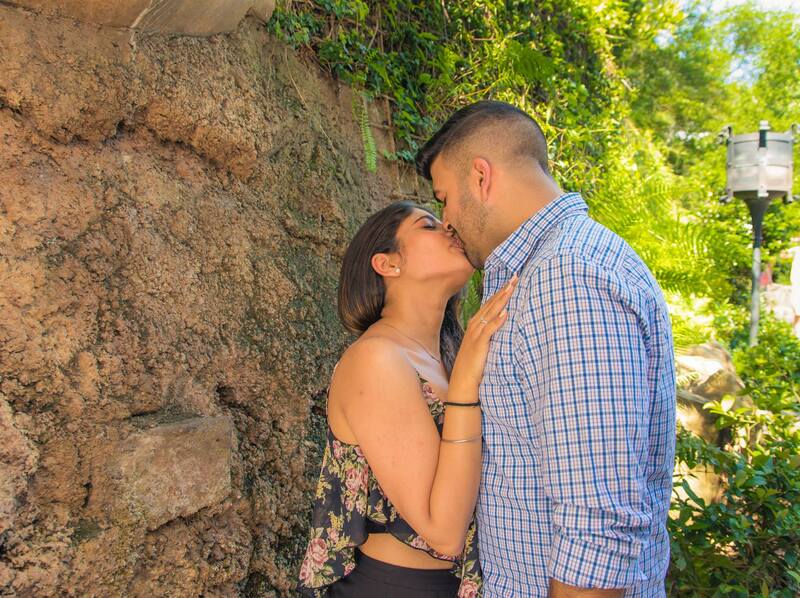 We are honored to have done over 500 Orlando surprise proposals combined in our career which ranges all over from shooting in Downtown Orlando to Universal Studios at the Wizarding World of Harry Potter to Walt Disney World! 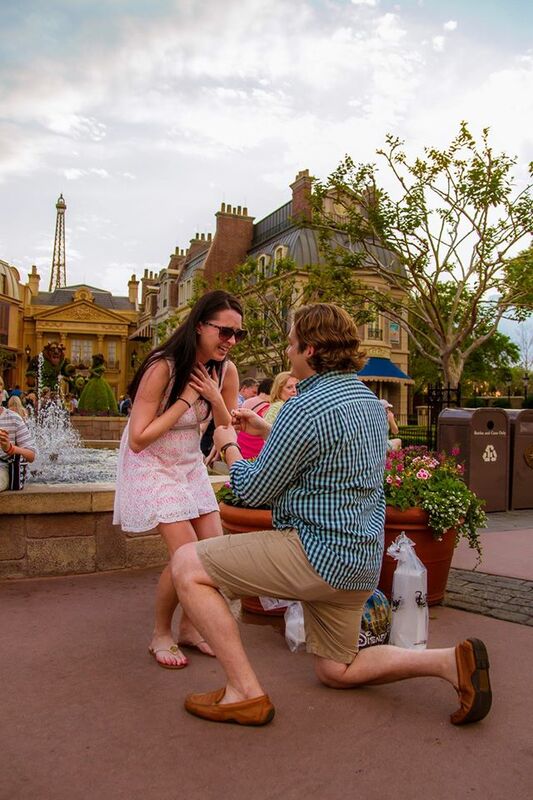 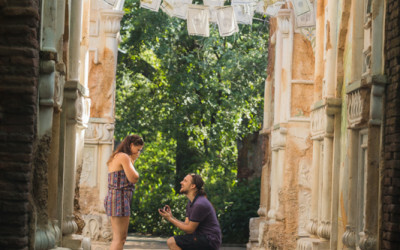 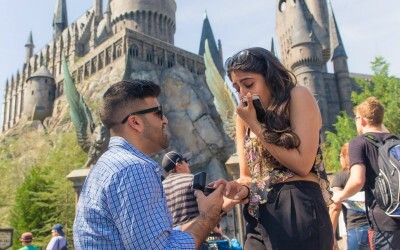 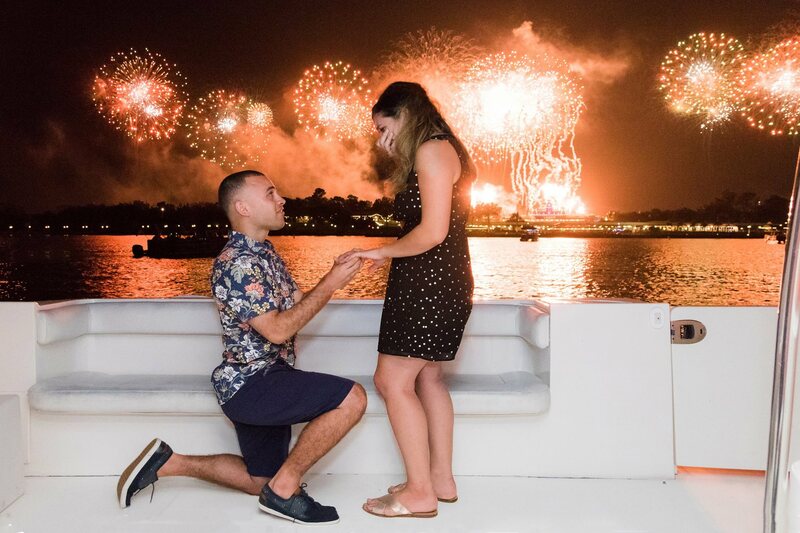 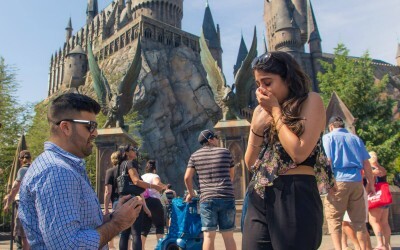 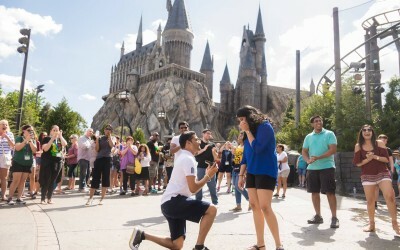 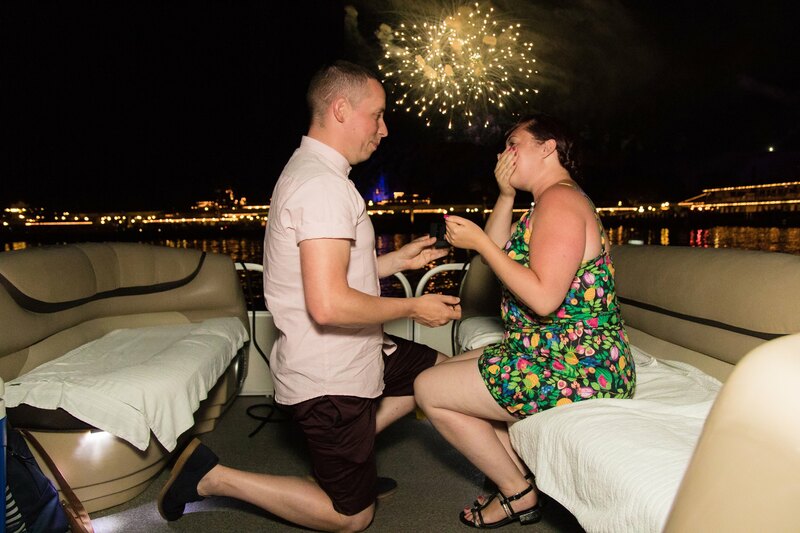 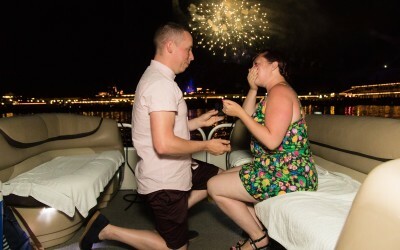 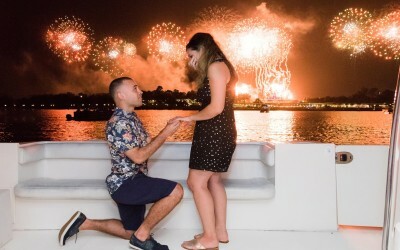 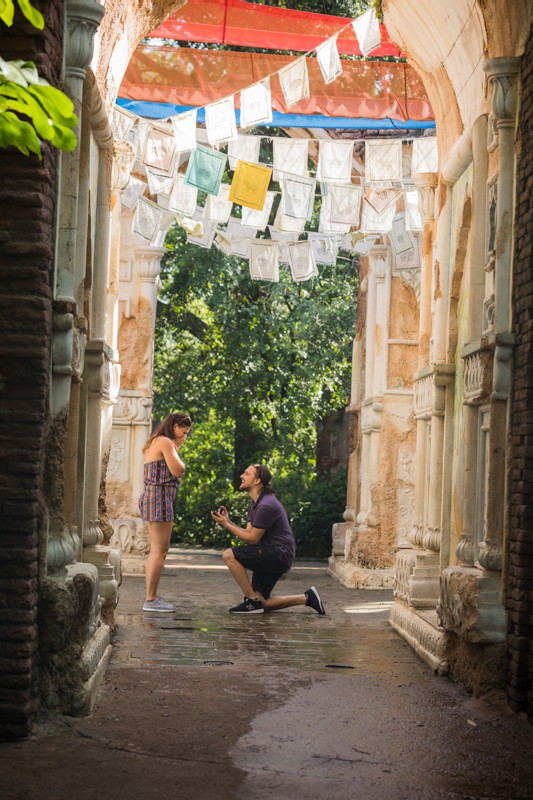 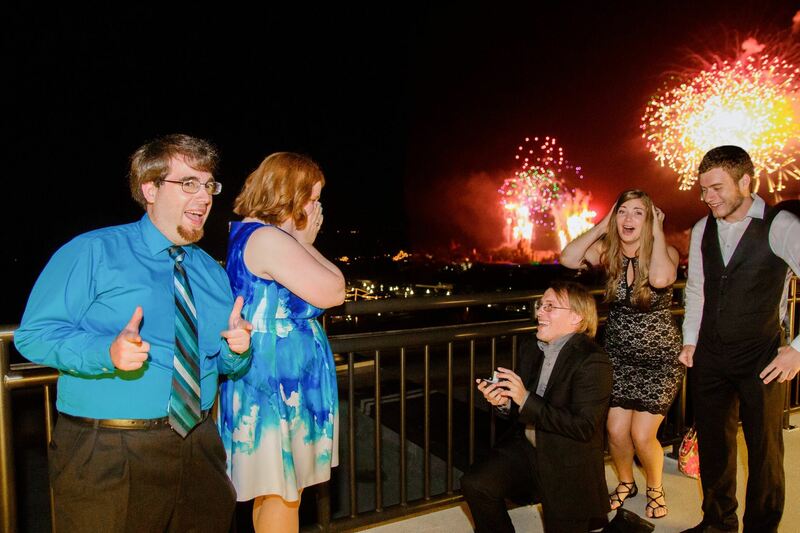 Currently we have a relationship with Universal Studios to create unique surprise proposals that no one can create! 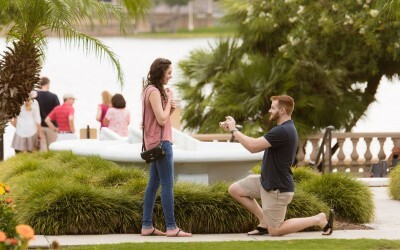 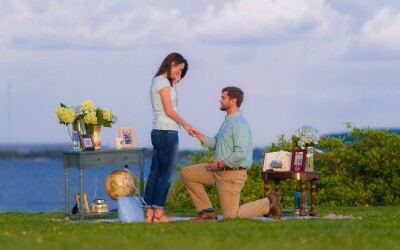 Also to add that within 24 hours you will get preview pictures of your proposal so you can share with friends and family! 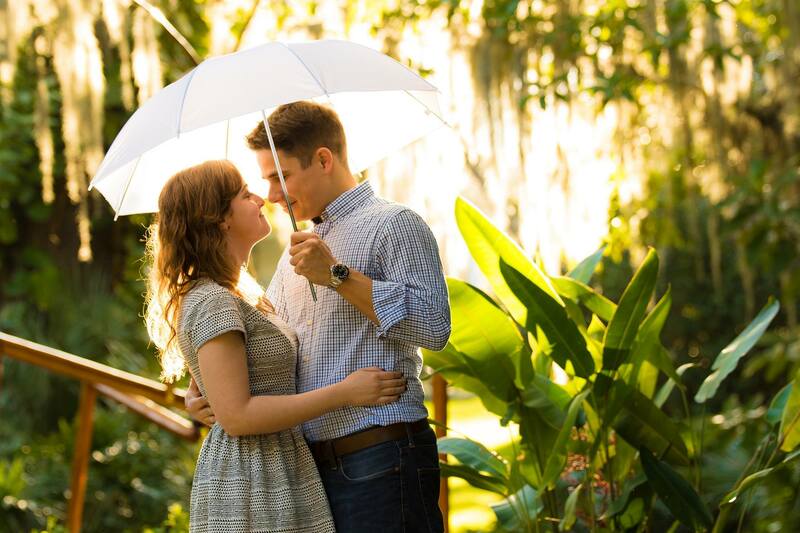 If you are looking for crisp, energetic, dramatic and natural photos, look no further! 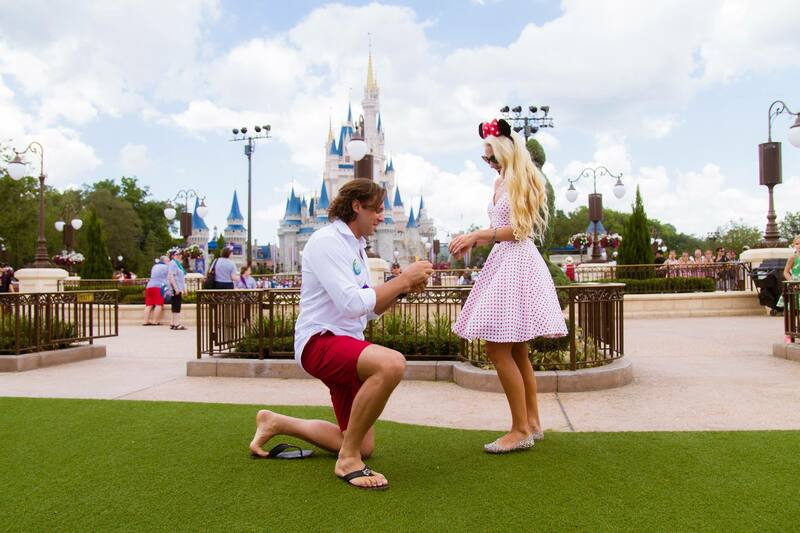 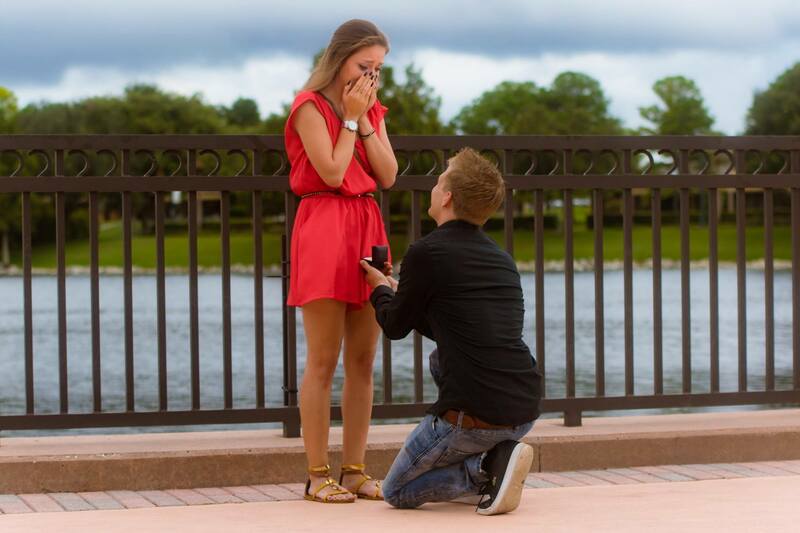 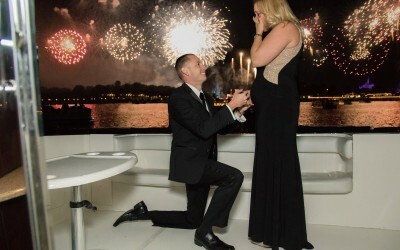 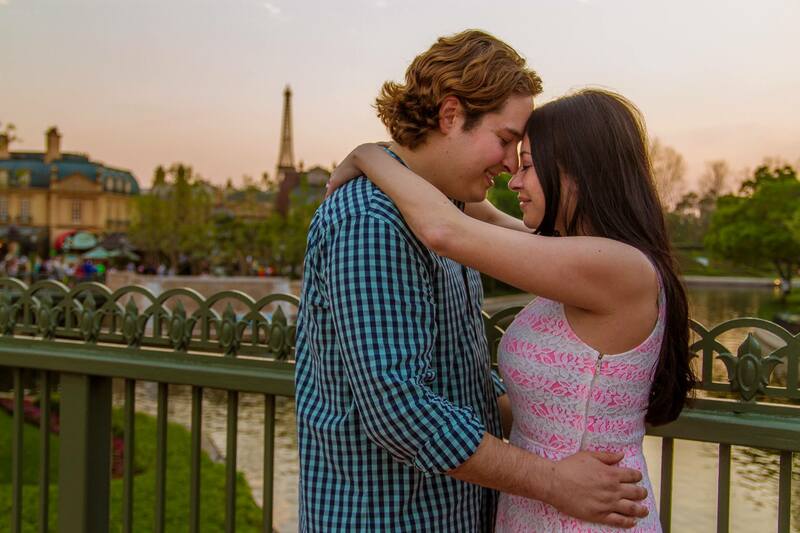 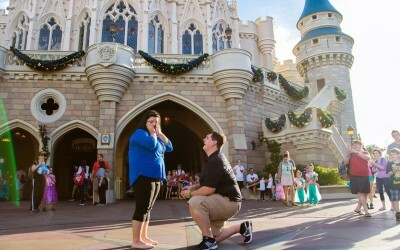 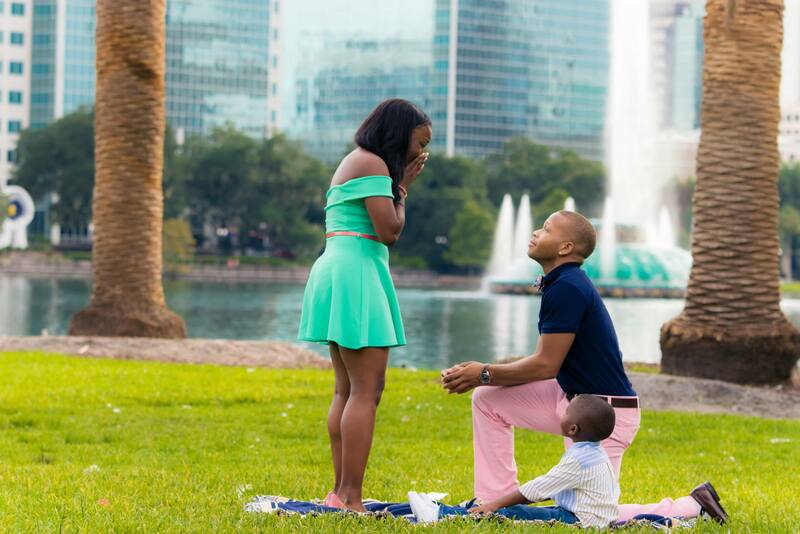 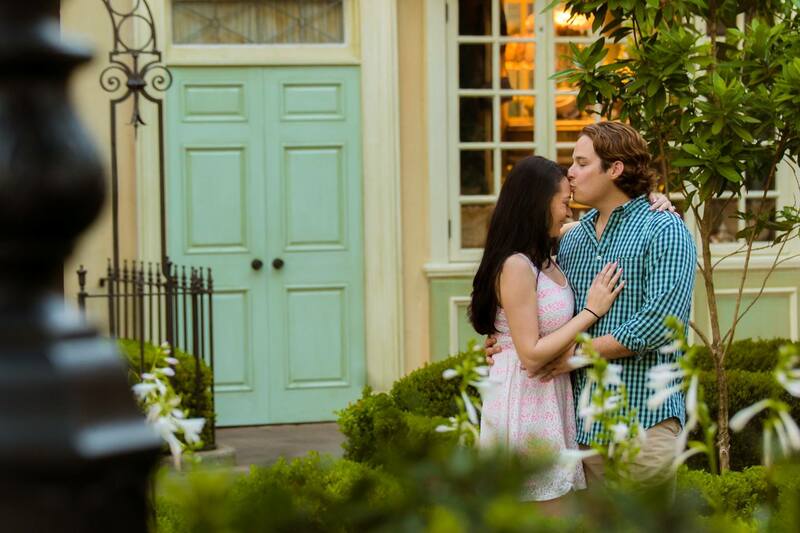 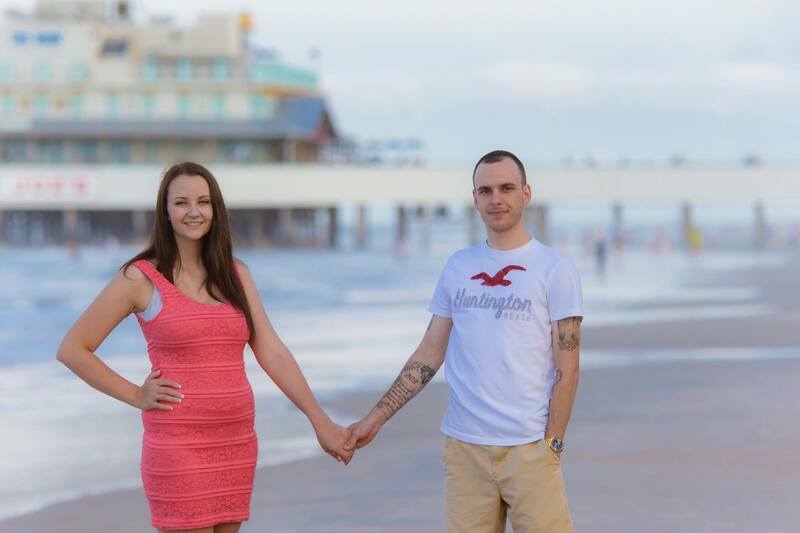 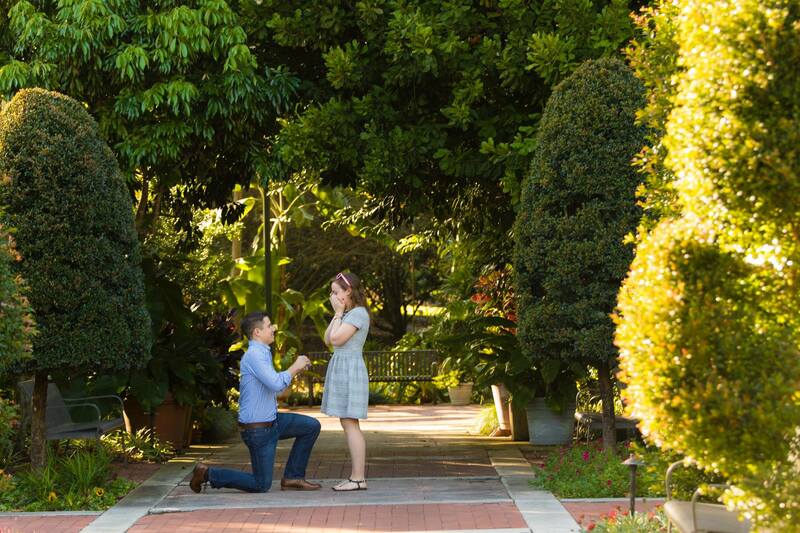 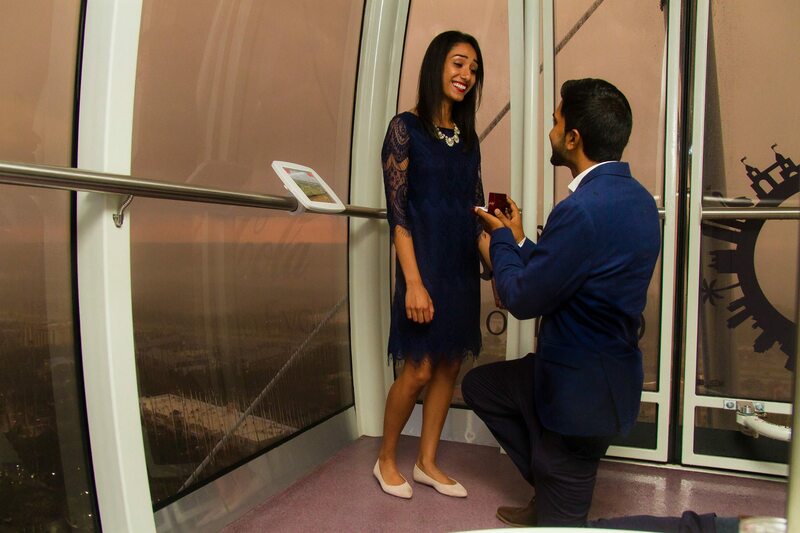 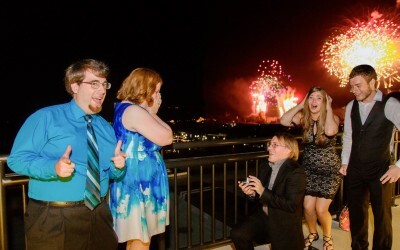 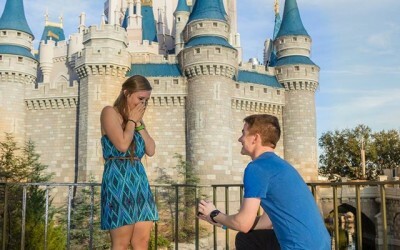 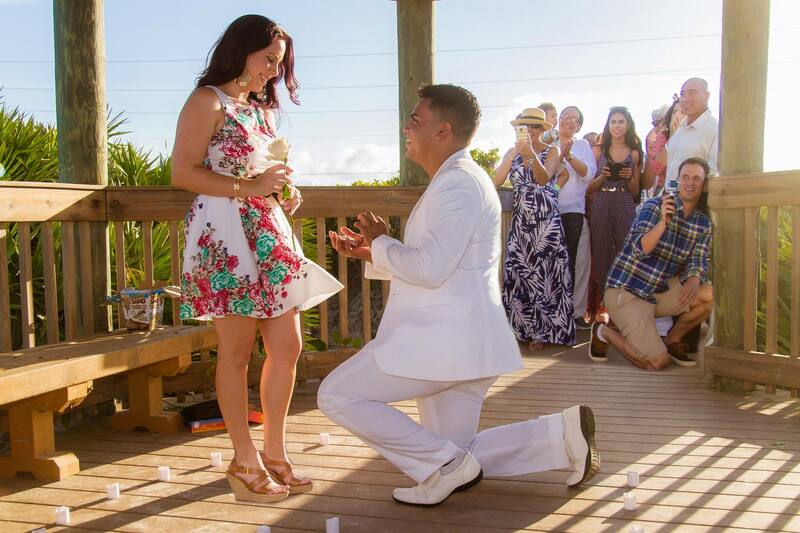 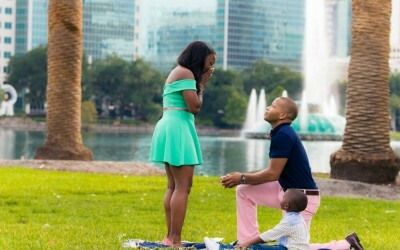 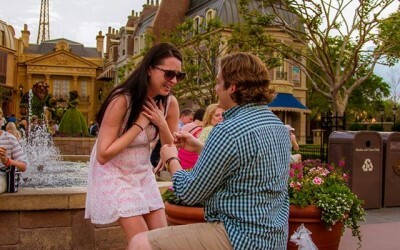 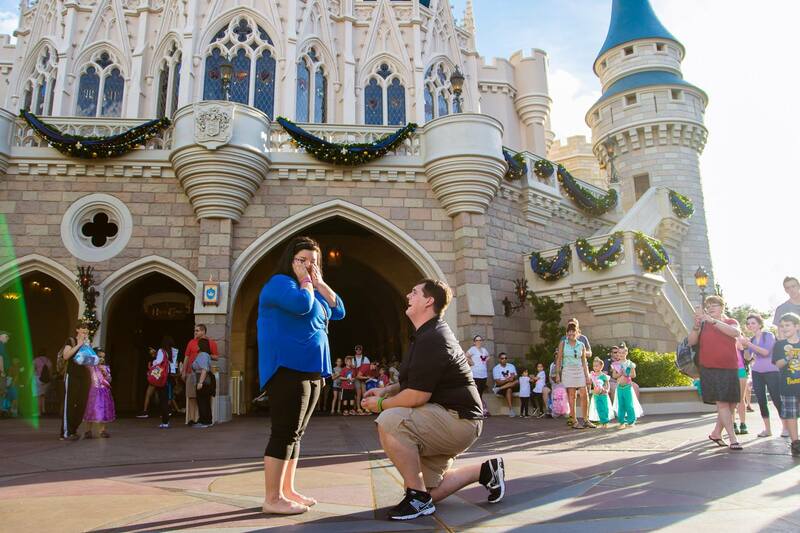 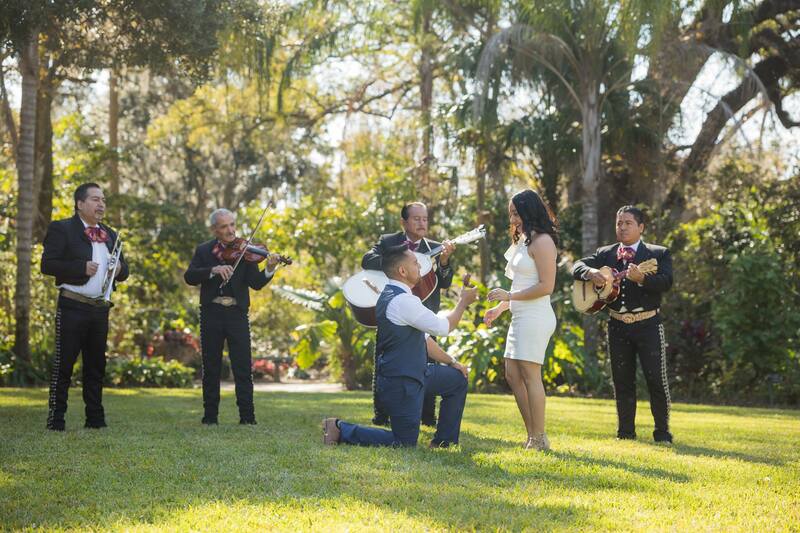 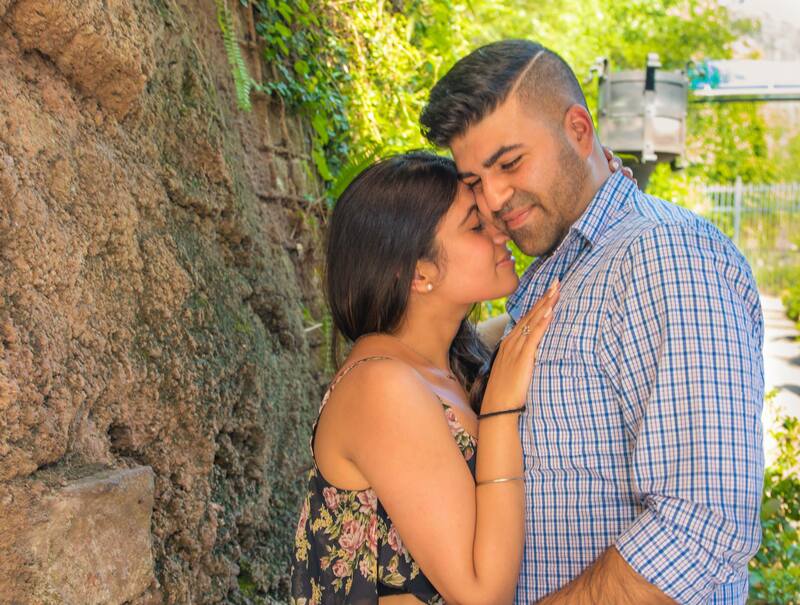 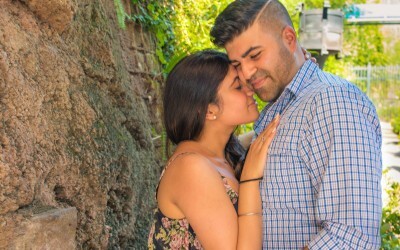 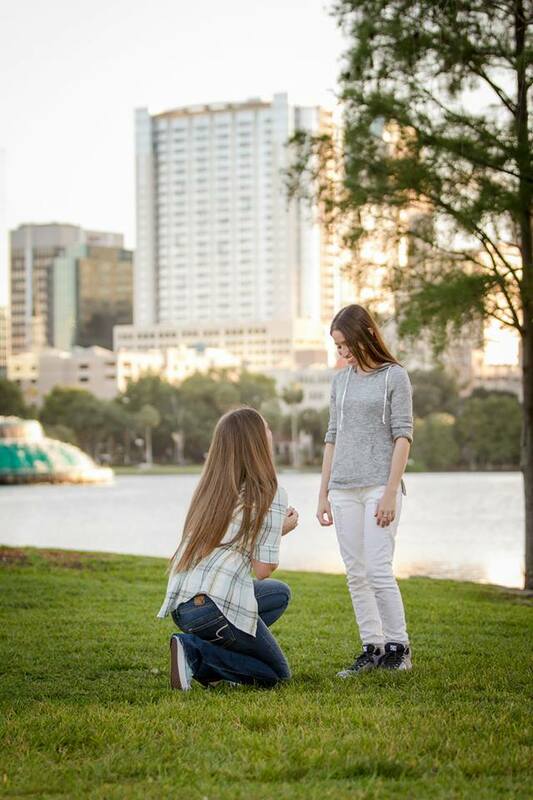 We would be honored to capture your Orlando surprise marriage proposal with glee! 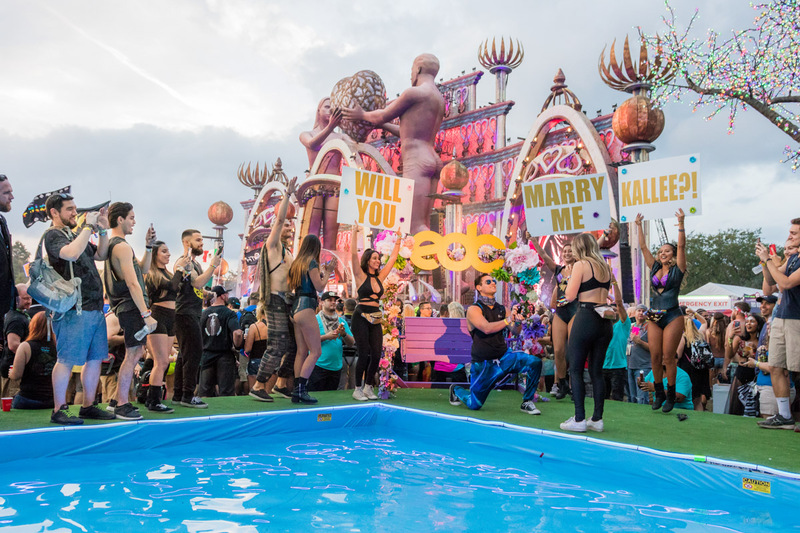 If you’re looking for help with setting up flowers, candles or even a musician, we will gladly help and make sure it happens! We work with a planner to ensure one of the most important moments in your life is fabulous! 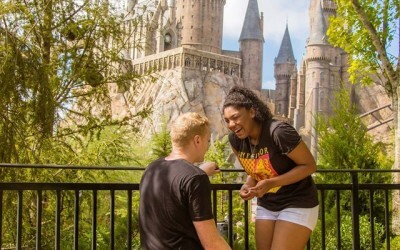 Theme Park Proposals will incur fees as first package. Inquire within for details.